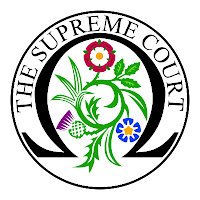 In Cameron v Liverpool Victoria Insurance the Supreme Court upheld an appeal by a motor insurer (supported by the Motor Insurers’ Bureau as an intervening party) against a Court of Appeal ruling that allowed a personal injury claim to proceed against an unidentified and untraced driver. In a majority decision, the Court of Appeal permitted Ms Cameron's claim (originally against the registered keeper of the vehicle) to be amended to substitute the keeper, as first defendant, with the unidentified driver responsible for causing the accident. Permission was also given for the unnamed driver to be identified in the proceedings by a description of the vehicle driven and the accident date, place and time. The court had also ordered alternative service of the amended proceedings on the vehicle’s insurer and gave judgment against the unnamed driver; noting that the insurer would settle the outstanding judgment. 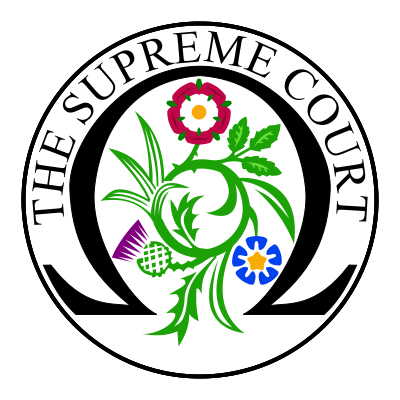 The Supreme Court based its unanimous decision primarily on time honoured natural justice considerations that require a party to be served with proceedings which enable a party at least the opportunity of being heard by the court. It ruled that as alternative service on the insurer was unlikely to come to the defendant’s attention, the claim could not proceed as a civil action. The justices opined that the claimant’s proper course should have been to apply to the compensatory scheme managed by the Motor Insurers’ Bureau under the terms of the Untraced Drivers Agreement 2003. This ruling restores a long-established practice that predates the UK’s accession to the European Community whereby all untraced driver claims are processed under the MIB’s Untraced Drivers Agreement schemes. In my latest New Law Journal feature, I explain why the Supreme Court’s decision fails on its own terms. I argue that even if one disregards the crucial EU law considerations, the natural justice implications of the court’s decision, on whether to exercise its discretion to authorise the amendment and to permit or waive service of the proceedings, fall heavily in the claimant’s favour. I contend that the evidence shows that Ms Cameron was the innocent victim of a ‘hit and run’ driver who, after colliding with her car (with enough force to write it off and injure her) then went on to hit a second vehicle, before fleeing the scene. \I argue that it is inconceivable that the driver was ignorant of the fact that he had at the very least caused some actionable damage. It is equally implausible to assume that he would not have been aware that had he stopped, he would have been identified and later face a civil action. Therefore, it seems likely (highly probable even) that his act of making-off was intended to evade civil proceedings that could then be readily anticipated (as well as the possibility of criminal proceedings: either for the careless driving or for driving whilst uninsured). Unfortunately, the Supreme Court thought differently. Leaving to one side these natural justice considerations, I believe that the Supreme Court’s ruling is fundamentally flawed because the learned justices misinformed themselves about the relevant law. At para 5 of the judgment it states in robust terms that there is no direct right of action against insurers for the underlying liability of its assured under the UK compulsory insurance regime, when setting the scene for the exercise of its discretion (on whether, in a civil action, a court should order alternative service or to dispense with service entirely against an unidentified driver). The Supreme Court overlooks the fact that EC Rights Against Insurers Regs 2002 provides just such a remedy. At paras 4, 5 and 27, the court effectively asserts that the allocation of claims to the MIB against unidentified drivers of identified and insured vehicles is consistent with the Motor Insurance Directive 2009/103/EC. This is wrong. It ignores no less than three CJEU rulings (Churchill, Csonka and Fidelidade) (see my earlier posts) that explicitly prohibit such claims from being allocated to the compensating body (which in the UK this is the Motor Insurance Bureau) – where a policy of insurance is in place for an identified vehicle. This is because the protective purpose of the Directive requires the compensatory provision to be made by the insurer direct. Given that the MIB had no legal entitlement or authority to handle these claims under directly applicable EU law, Ms Cameron has been unjustly denied her entitlement by the Supreme Court justices. I cannot think of another Supreme Court ruling that has got the basic applicable law so badly wrong. My three-page New Law Journal feature is published in the 15 March 2019 edition, in the Insurance Legal Update section. We seek views on whether it would be acceptable for a highly automated vehicle to be programmed never to mount the pavement. One of the main benefits of advanced automation is its promise of improved independent access to private transport for the elderly and the handicapped and cheap door to door delivery of goods. By shoehorning this new statutory form of product liability into the Road Traffic Act’s archaic and limited scope, both in terms of its geographic reach and the types of vehicles covered by s2’s new direct liability, the government has needlessly exposed children and other vulnerable individuals from the protection of the compulsory insurance regime. It is hard to identify any coherent public policy objective that is served by this anomaly. As indicated above, unless ADS are prohibited on private property (which is clearly undesirable), the current geographic restriction to roads and public places not only breaches EU law (Article 3 of Directive 2009/103/EC on motor insurance) but it also lacks vision as pavements and private places are likely to feature as points of embarkation or destination in many journeys featuring ADS. Should highly automated vehicles ever exceed speed limits? (b) in vehicles manufactured in limited numbers (a "small series")? (2) unauthorised automated driving systems should be prohibited? (3) the safety assurance agency should also have powers to make special vehicle orders for highly automated vehicles, so as to authorise design changes which would otherwise breach construction and use regulations? Do you agree that every automated driving system (ADS) should be backed by an entity (ADSE) which takes responsibility for the safety of the system? We seek views on how far should a new safety assurance system be based on accrediting the developers’ own systems, and how far should it involve third party testing. We seek views on how the safety assurance scheme could best work with local agencies to ensure that is sensitive to local conditions. CHAPTER 5: REGULATING SAFETY ON THE ROADS A new organisational structure? If there is to be a new safety assurance scheme to authorise automated driving systems before they are allowed onto the roads, should the agency also have responsibilities for safety of these systems following deployment? (1) regulating consumer and marketing materials? We seek views on whether the agency’s responsibilities in these three areas should extend to advanced driver assistance systems. Yes and much more (and this should be addressed as a matter of considerable urgency) given what is said at paragraph 3.12 of the LC report. I am awaiting a Freedom of Information Act request on the number of Tesla Model S currently on our roads. Some online sources indicate that this could be in excess of 2,000. Tesla plans to launch its new mid range Model 3 into the UK market this year, presumably in greater numbers.See my concerns about the danger posed by driver assist technology in my response to Q7. Is there a need to provide drivers with additional training on advanced driver assistance systems? If so, can this be met on a voluntary basis, through incentives offered by insurers? No. Guidance should continue to be provided by the government within the Highway Code. This is a responsibility that should be delegated to commercial interests. The Highway Code needs to be updated to accommodate the skills and standards appropriate to this new technology. Every driver skill, standard or theory that is safety critical should be incorporated within the driving test syllabus be subject to mandatory testing. It may be necessary to issue new vehicle categories for the driving licence. A failure to address this urgent need to educate, test and licence emerging levels of automation as well as advanced automation would not only be anomalous but it would compromise public safety. We seek views on how accidents involving driving automation should be investigated. We seek views on whether an Accident Investigation Branch should investigate high profile accidents involving automated vehicles? Alternatively, should specialist expertise be provided to police forces. This is not my field of expertise but my experience of local police forces is that their standard of investigation is variable. A national government agency should be incepted, possibly along similar lines tothe Air Accidents Investigation Branch. A single authoritative national agency would be best placed to apply a consistent approach to the same standard. A national body is needed to develop a strategic view as well as a specialist knowledge in ADS, motor engineering, data recording and collection et cetera. This might be a suitable role for a dedicated sub-division of the proposed Safety Assurance Agency. It might be sensible to restrict the agency's involvement to serious accidents involving an injury where a police report has confirmed that an automated vehicle was present at the scene of the accident. It would probably be necessary to impose a strict time limit to ensure prompt notification, if the accident data is to be preserved. (1) Do you agree that the new safety agency should monitor the accident rate of highly automated vehicles which drive themselves, compared with human drivers? (2) We seek views on whether there is also a need to monitor the accident rates of advanced driver assistance systems. Yes to both (1) and (2). Is there a need to review the way in which product liability under the Consumer Protection Act 1987 applies to defective software installed into automated vehicles? I infer from the Law Commission’s limited terms of reference, that this question is primarily concerned with secondary claims brought by motor insurers under s5 AEVA 2108; not the primary accident victims whom the entire edifice of Part VI Road Traffic Act 1988 and S2 AEVA 2018 is supposed to benefit. In which case, strictly speaking this question only concerns those vehicles likely to be listed under s1, i.e. high or full automation – (see LCCR 240 para 2.55 and footnote 83). Yet the Law Commission expressly concedes the need to widen the scope of its consultation (see para 1.14) and this much is clear from some of its questions, such as Q6, 7,8 and 12. The Consumer Protection Act 1987 (CPA) fully implements the Directive 85/374/EEC on Product Liability and can be easily revised after Brexit should need arise. Two important concerns, raised in para 3.9 of the Government Response to its consultation on Advanced Driver Assistance Systems and Automated, from January 2017, are that this legislation might be inadequate for insurers wishing to invoke their statutory right of recoupment, because (i) product liability is optional, and (ii) no statutory minimum amount of cover is set. Against that, it should be acknowledged that motor insurers are in an advantageous commercial position to limit their exposure to risk by negotiating effective reimbursement guarantees from manufacturers and suppliers, in return for offering competitive (and from the ultimate consumer’s perspective, affordable) premiums. Manufacturers who fail to incept a Volvo style compensatory guarantee are likely to find that the cost of insuring their vehicles might make their products unattractive to consumers. Problems will nevertheless arise where causation is disputed or needs to be apportioned. However, the motor insurance industry is best placed to confront these challenges as it has the necessary expertise and resources as well as a strategic overview that few private individuals could hope to command. It is conceivable that the MIB could co-ordinate collective actions against manufacturers and or develop a specialist expertise in these claims, as opposed to individual insurers. The government should ensure that its regulation of motor insurers ensures that the industry has taken all appropriate measures to safeguard it exposure to insolvency and to guarantee that victims recover their full compensatory entitlement. This is not something that can safely be left to the industry to self-regulate with complete autonomy. If the strict liability provisions of s2 are to be confined to highly and fully automated vehicles then this discriminates against victims of what are arguably even more dangerous forms of automation that are already on our roads or which will shortly be introduced (SAE L2 & 3 automation). The UK’s adversarial civil justice system, whilst striving to ensure fairness and to put individual parties on an equal footing on a case by case basis, has serious shortcomings when it comes to an unequal contest between private individuals and international corporations. Fixed recoverable costs and the proportionality rule shift the tactical advantage heavily to the advantage of a corporate opponent who can afford to adopt untenable or unreasonable stances in individual cases if it serves its wider commercial interests. Private individuals generally do not have the same expertise and usuallyt nothing approaching a parity of resources. Accidents caused by existing and close to market levels of vehicle automation (SAE L2 & 3) are likely to prove to be fiendishly technical, time-consuming and costly. Modest value claims are likely to be disproportionately expensive to investigate, let alone litigate, and so many will be uneconomic to pursue. The effective abolition of public funding in this area exacerbates these inequalities. · The ten year long stop limitation. Furthermore, in addition to the inadequacies of this legislation, an individual claimant who is unable to establish strict liability under the 1987 Act will be faced with a forbidding evidentiary burden in establishing what was the true cause of the accident. It is conceivable that one of many individual component manufacturers would be responsible for a systems failure. It is equally conceivable that the software was susceptible to hacking by a malicious third party or that the cause of accident was contributed to the driver / user’s negligence . These are all unknowns (i.e. litigation risk) that undermine legal certainty and the prospect of an accident victims recovering his or her proper compensatory entitlement. With all due respect, the inequality in access to justice that pervades the UK’s civil justice system is not something that any responsible government should ignore. Nor should it overlook the fact that by licencing these evolving levels of automation for use on roads it has actual or at least constructive knowledge of the correlative risks associated with their deployment. The government has a moral obligation to ensure not only that the vehicles it licences are fit for their intended use but also that victims are fairly treated and fully compensated if and when something goes wrong. The present artificial dichotomy been advanced automated vehicles at SAE Ls4 & 5 and all other forms of automation lacks moral coherence or other justification. It is perhaps appropriate to note the government’s longstanding failure to fully implement Article 3 of Directive 2009/103/EC which requires any compulsory motor insurance for any civil liability (not just the personal fault of the user / owner / insured) and which extends to a much wider class of vehicle as well as private premises. Urgent steps need to be taken to safeguard the interests of accident victims (which need to be given at least the same attention as the insurance industry). The most obvious solutions would be either to reform the CPA 1987 or to bring driver assist and conditional automation into the scope of the strict liability provisions of the AEVA 2018. Is there a need for further review? (1) Are sections 3(1) and 6(3) on contributory negligence sufficiently clear? (2) Do you agree that the issue of causation can be left to the courts, or is there a need for guidance on the meaning of causation in section 2? (a) to make a claim against an automated vehicle’s insurer, should the injured person be required to notify the police or the insurer about the alleged incident within a set period, so that data can be preserved? (b) how long should that period be? The product liability provisions within Part 1 of the Automated and Electric Vehicles Act has clear parallels to the Consumer Protection Act 1978. Both make provision for strict liability and then confer the defendant’s entitlement to raise a defence of contributory negligence. However, although s 2(1) of the Consumer Protection Act provides for liability on the producer/supplier where any damage is “wholly or partly caused” by a defect, s 2 of the Automated and Electric Vehicles Act does not make it clear that the insurer will be liable for damage partly caused by the vehicle. S 2(1) of the Automated and Electric Vehicles Act merely provides that where an accident is caused by an automated vehicle…the insurer is liable for that damage”. It appears to be the intention of the 2018 Act that the insurer should be liable if damage is partly caused by the vehicle, as section 8(3) provides that “a reference to an accident caused by an automated vehicle includes a reference to an accident that is partly caused by an automated vehicle. Although this clarified in section 8(3), the different wording referred to above in s2(1) introduces an entirely unnecessary divergence that will probably need to be resolved by a court. I believe that there would be better legal certainty if section 2(1) provided that insurers are liable where damage is wholly or partly caused by the vehicle. In relation to automated vehicles, the causative potency of the manufacturer or producer’s culpability ought to take into account the fact that by making and / or marketing the product that they have introduced a potential hazard to the road using environment. A driverless car could be equated to a heavy guided missile. Consequently, its potential to cause harm or the likelihood of the harm being high is obviously significant. In which case it is appropriate that the causative potency for any manufacturing or software defect should reflect this moral responsibility. The same could be said of the known effects of automation on a human driver, which are said to be detrimental on their level of attention and the appropriateness / effectiveness of any reaction. Ideally, relevant data should be preserved and disclosed. The practical considerations of implementing this is a technical issue that I am unable to comment on in any detail or authority. However, it stands to reason that data storage, presumably from multiple sensors, is likely to involve large quantities of memory and so the ability of automated vehicles to store a long operational history is likely to be limited. Accident's should be reported to the AVSE within 24 hours and the relevant data uploaded to that destination within 72 hours. Consideration should be given to deciding whether it would be appropriate to impose a legal presumption following an unjustified or unexplained failure to upload or preserve this data. My personal experiences in practice of different Police forces around the country suggest their ability to administer accident recording and data retention either efficiently or consistently is limited. Perhaps this is a role that should be assigned to the AVSE. It is unclear whether the standard of care for the automated system is that of a reasonably careful driver, a highly skilled driver, a reasonably proficient software or of perfection. Nowhere in the Act is this specified, and I do not believe that this should be left to the courts. Private individuals injured by AV would be required to endure potential ruinous appeal to clarify the law. The law should be clear and comprehensive from the outset, with no need to rely on the courts to make decisions on the interpretation of the Act. The deficiencies alluded to at LCCR 240 para 6.18 et sequentia should be addressed immediately. Strict liability should attach to accidents caused by automated vehicles operating in driverless mode. The MIB has a history of obfuscation and delay and the government should take the initiative by dictating appropriate amendments to be agreed forthwith. Even with a Brexit, it would be sensible and possibly necessary to apply the continental principle of equivalence here. Is section 2(6) of the 2018 Act sufficiently precise? In ordinary motor insurance policy claims brought under s151 Road Traffic Act 1988, an insurer can apply under section 152 of the 1988 Act for the policy to be voided where the policy was induced through a fraud. Different tests apply, depending on whether the policy was a consumer or commercial contract. Where such an application succeeds in a voidance declaration, the policy is treated as though it never occurred. Strict liability under section 2 is premised on a policy being in force at the date of the accident. Although s 2(6) of the 2018 Act provides “Except as provided by section 4, liability under this section may not be limited or excluded by a term of an insurance policy or in any other way”, it is unclear whether the phrase “any other way” provides an absolute prohibition on insurers avoiding liability after a policy has been issued. It is unclear whether it precludes an insurer from applying under section 152 for a declaration that the policy is void ab initio. Incidentally, section 152(2) of the 1988 Act does not conform with EU law, see the CJEU ruling in Fidelidade Case C-287/16. This uncertainly present by this imprecision in s2(6) of the 2018 Act creates a risk that without clarification, insurers will argue that strict liability does not apply, because strict liability under the Act only applies if insurance is in place. In these circumstances, a court could easily conclude that (i) insurance was not in place because the policy holder deliberately misled the insurer, voiding the policy as if it never existed and (ii) that this does not contravene section 2(6). Insurers can and do regularly raise these defences to evade liability under s 151 of the 1988 Act. Although this is prohibited under European law, these rulings have not been implemented/followed, and so in the absence of any UK precedent, their influence is set to be lost on Brexit, along with the EU law doctrine of direct effect. As such, it is even more vital that there is clarification as to whether, under s2(6), insurers are precluded from applying under s 152 of the 1988 Act for a declaration that the policy is void, thus avoiding liability. Under what circumstances should a driver be permitted to undertake secondary activities when an automated driving system is engaged? • I note that the refence to ‘driver’ in the context of a vehicle operating an ADS does not necessarily exclude highly and fully automated vehicles contemplated by s1 AEVA 2018 as even vehicles with full automation are likely to have a manual override option. Even so, I infer that this question is primarily intended to refer to vehicles whose dynamic driving task is controlled by ADS of existing and close to market levels of automation (i.e. driver assistance (SAE L2) and conditional automation (SAE L3)) because where a vehicle is driven under normal manual control, existing civil liability rules and safety standards (which prohibit distractions) would apply. • There is no simple answer that allows for a one size fits all regulation. • The issue is a nuanced one that depends as much on the vehicle’s technical capacity as on its ODD (i.e. its operating environment/context of use); the appropriate international standards, such as the UNECE conventions (currently undergoing review), as well as the minister’s discretion under s1 AEVA 2018 (and / or any ADSE criteria). • On a general point, there needs be a close and clear correlation between physical standards expected of a ‘driver’ and the level of sensory sophistication and processing capacity of vehicle automation. • The present general proscription on distractions should apply (modified only to permit viewing screens to undertake remote self-parking, listening to the radio etc) for all vehicles with ADS below SAE Level 4. • It is important to emphasise that the government’s limited terms of reference set out at Appendix 1 appear to exclude the present and urgent need to regulate existing SAE L2 automation that is already on our roads (not to mention the SAE L3 automation that is close to market). It almost goes without saying that no distractions should be permitted where a driver is actively monitoring a vehicle running in a driver assist mode in a vehicle equipped with SAE L 2 automation. The driver’s attention should always be focused either on the road ahead or in undertaking peripheral road safety observations. • A user-in-charge of a vehicle equipped with SAE level 4 (and possibly also SAE L5) should never be expected to intervene in the capacity of a ‘fallback driver’, - so secondary activities should generally be permitted to encourage a general state of alertness, except perhaps in certain relatively high-risk environments, such as locations shared by pedestrians. Where a user-in-charge is required, the individual must always remain conscious, sober and able to drive, even if full attention is diverted away from the DDT whilst the vehicle’s ADS is actively engaged. (1) should the fallback be permitted to undertake other activities? (2) if so, what should those activities be? Much turns on what ‘a request to intervene’ involves see paras 2.09(4); 2.17) and the intrinsic reliability and responsiveness of the ADS: e.g. whether a safety critical intervention is needed in the face of an emergency or only as part of a more sedate handover. This question features close to market automation that the government has indicated is unlikely to be classed as an ‘automated vehicle’ within the meaning of sections 8 (1) and 1(4) of the AEVA 2018 by the minister. See LCCR 240 para 2.56 and footnote 83. First, that human intervention in this context [where the DDT is not being monitored actively] is unlikely to prove to be a reliability effective counter-measure for any ADS failure or other exigency that requires urgent or near instant human intervention. Fall back drivers are unlikely to be in a position to respond with sufficient speed to address a serious system failures in fast moving traffic on dual carriageways and motorways. Neither would a fall back driver be likely to be able to respond sufficiently promptly to a burst tyre or to correct loss of control caused an oil spillage at 50 or 60 mph on an A road. In both examples the human factors considered, at#3.7; #3.12; #3.85 and Appendix 3 apply. The point here being that secondary activities are unlikely to have a consistent causative effect on the safety of the driving. Second, that any ADS system that requires, for safety reasons, that a driver either actively supervise the vehicle’s dynamic driving task or requires a fallback driver to respond promptly to a system alert or some other unforeseen problem when operating in its ODD - ought properly to be classified as an SLA L2 vehicle. My suggestion is that the fallback driver’s intervention should never be depended on for safety critical interventions, for reasons already alluded to. Third, this level of automation is premised on a yet to be achieved level of technical sophistication and the ability, through software programming, that enables the safe operation of SAE L3 automation, in almost any context, without requiring an instant response by the fallback driver to intervene with a safety critical intervention. Conditional automation should only be licensed for use save in highly specific low risk ODDs. (i) The first point incorporates the aforementioned concern, namely that the type approval of conditional automated vehicles must first be contingent on it being officially established that each variant of SLA L3 vehicle automation (ie. each model, class or type) is sufficiently safe and reliable for use when deployed within its operational design domain – independently of any human intervention, excepting the safe and preplanned engagement and disengagement of the ADS. I understand that this level of operational reliability has yet to be achieved for normal every-day road use. (ii) The safety of every vehicle model should be certified by an independent body (perhaps the ADSE agency proposed by the LC) applying internationally recognised criteria and this needs to be undertaken to an equivalent standard as in the aviation industry. Manufacturers should not be allowed to self-certify their products. (iii) Type approval should be restricted for use within specified low risk environments that comprise their operational design domain ODD. The ODD may factor in weather and other road conditions as well as road types and locations near playgrounds and school etc. I would envision the geographical ODD of SLA L3 vehicles will need to be restricted initially to dedicated lanes along non-pedestrianised routes where the risk to vulnerable road users (pedestrians or cyclists) is minimal or non-existent or at very low speeds along clearly designated routes (similar to tram lines) and be accompanied by audible and visual signaling to alert other road users that an ADS is engaged. Paradoxically, a vehicle ostensibly equipped with SAE L3 automation might be capable of qualifying as highly automated (at SAE L4 ) and / or of being listed under s1 AEVA 2018 as an automated vehicle that is subject to the direct right conferred by s2 of the Act if its ODD is so highly restricted that it is safe to operate without a fallback driver because no human intervention is required to meet a safety critical contingency. (iv) Each vehicle model should be hard-wired to prevent the ADS from operating outside its certified ODD and unless such use is lawful for that model and the change has been preplanned and authorised by the insurer. It should not be possible for the owner / user to override the vehicle’s ODD (outside any predetermined permissive parameters) without first obtaining authority through an officially sanctioned reclassification process. (v) Every journey where ADS is intended to be used should be preplanned / preprogrammed whilst the vehicle is stationary and the system connected to online traffic reports, safety-critical software updates and weather data: either before embarkation or at an en route parking point (where a change in destination can be programmed). This ADS should not otherwise engage. Clearly the ADS will need to have the capacity to alter its route, during a journey, in response to weather and traffic conditions, etc. (vi) All secondary activities should be banned or suspended (e.g. radio) in the moments leading up to the hand-over to human control as the vehicle approaches the end of its geographical ODD. This should be enforced by on board haptic and visual sensors and vehicle-use data that must be disclosed to the vehicle’s insurer. Inappropriate or illegal use could result in higher premiums. (vii) Section 2 of the Automated and Electric Vehicles Act 2018 should be amended to include these transitionary levels of automation (SAE L2 & 3), especially if it is decided that an SAE L3 fallback driver is needed to perform a safety critical intervention in an urgency. This is necessary because the Government has already indicated that the minister is unlikely to exercise his wide discretion under s1 AEVA so as to classify conditional automation as an ‘automated vehicle’ because it cannot achieve a minimal risk condition: see #2.56 and 3.25. This is unsatisfactory because this transitory level of technology (at SAE L3) seems to be inherently less safe and susceptible to misunderstandings as to its capability and reliability than the futuristic levels of automation envisioned by some SAE L4 and all SAE 5 automation that qualify for s2’s direct right. Indeed, the government’s actions could be equated to a shipping line that equips its vessels with life rafts that can only be deployed in fine weather. The public interest reasons for imposing strict liability under s2 AEVA for high and advanced levels of automation apply with equal force, if not even more so, to driver assist (SAE L2) and conditional automation (SAE L3), especially if there is reasonable cause to believe that the poorly understood human machine interaction involved at these levels make them comparatively less safe than the futuristic levels of near-autonomy promised by SAE L5 technology. Users and third-party victims are entitled to expect the same level of civil law protection from the risk of loss or injury from automated transport, whatever its type classification or sophistication. This is not provided under the existing common law and statutory framework for product defects in vehicles equipped with SAE L2 and 3, see below the response to Q18. This lacuna needs to be urgently addressed. Whilst it is appreciated that comments are not necessarly invited on SAE L2 automation, the dividing line between driver assist and conditional automation, particularly when it comes to technical safety standards and what is meant by being ‘receptive to a handover requires or to an evident system failure’ means that the distinction is something of a grey area. If the safety of a vehicle equipped with SAE L3 conditional automation depends to any appreciable extent on a fallback driver being ready and able to promptly intervene in the dynamic driving task, independently of any ADS generated alert or call to action, then this could downgrade its classification to SAE L2. One major drawback with partial automation at SAE L2 concerns the speed and effectiveness of a driver’s intervention should it be needed and some of these vulnerabilities are alluded to at #3.7; #3.12; #3.85 and Appendix 3, 32. This exposes the wider road using public and the consumers to an appreciable risk of loss or injury. It stands to reason that even a conscientious and experienced supervising driver’s reaction will be delayed when compared to that of a normal driver. This is because a SAE L2 supervising driver is not reacting to the danger as it is first perceived but to a later event; which is inherently dangerous. It is reasonable to hypothecate the following sequence: first in time, there is the supervising driver’s realisation there is a danger or potential hazard ahead; next the gradual appreciation that the ADS has not responded appropriately (along a cognitive continuum ranging from the phenomenon emerging as a suspicion; to a its appreciation as a possibility; to a probability, then a near certainty) and during this process, the supervising driver reaching the conclusion that an intervention may be necessary. Further time may elapse if there is an emotional reaction, perhaps due to a momentary disbelief or hesitation where the ADS has previously operated faultlessly over a prolonged period. Accordingly, it would appear that the recommended thinking times and stopping distances within the Highway Code are no wholly appropriate for present levels of partial automation at SLA L2. There are a number of technical solutions that could at least partly mitigate the ‘full attention deficit’ / problem with driver distraction but it is unclear to what extent (if at all) these are adequately regulated, still less enforced, by the UK authorities. It should be a matter of real concern to any responsible government that thousands of vehicles equipped with SAE L2 automation are already in use on our roads and there appears to very little evidence of adequate regulation or independent testing. Nor does there appear to be any official consumer and user guidance on its safe use, nor any training or testing of driver / supervisor proficiency in the new skills needed to operate these systems safely. I am concerned that the regulation of existing driver assistance technology is inadequate. I offer one example. If one clicks through the link to ‘How Tesla’s autopilot system works’ in the BBC website referred to in the LCCR 240 at footnote 117 one comes to a video presentation by Mr Musk, the Tesla CEO. At 01.29 he explains that the vehicle’s ADS depends on its ‘long range ultrasonic sonar’ for its rear view. He does not give any indication of its actual range but the graphic suggests it is short. I am informed by those better qualified to comment that ultrasonic sensors are relatively crude sensors have a very short range and are mostly commonly used for parking. Even if we take Mr Musk at his word and accept, for the sake of argument, that he has adapted this to extend to 10 or 20 metres, this is clearly and obviously (i) far less that is required of a human driver and (ii) inadequate for dual carriageway or motorway traffic where there could be closing speeds of up to 40 mph that equates to 17.88 meters per second. I suggest that there should be a basic principle that no ADS should be permitted to rely on sensory input inferior to that required by law of a human driver in equivalent circumstances. I believe, notwithstanding the inherent vulnerabilities indicated above, that SLA L2 automation still has the potential to save many lives. One need only Google ‘Tesla Autopilot Prevents Crash Compilation’ to view a compelling if tendentious UTube video to see why this intermediate level of automation might prove attractive to night drivers, high-mileage drivers, commercial drivers and others. However, unless the Government takes urgent action to ensure that consumers and users are properly informed, trained and tested and that manufacturers equip the vehicles with fail-safe systems that ensure that supervising drivers are consistently and actively engaged in monitoring the dynamic driving task, that if any human intervention is depended upon for the vehicles’ safe operation, then that intervention will be causatively effective in preventing any danger, then they should be banned on the ground that without these fail-safe measures, the ADS is intrinsically unsafe. Manufacturers should be required to guarantee that an ODD cannot interfered with or altered by the user so as to present a danger or otherwise breach national road traffic laws. Q 7 (2) Consuming cold drinks or snacks, passive activities such as reading, listening, conversing, phone use should be permitted in vehicles with conditional automation but phone use should be remotely connected via an onboard phone consul and any reading managed by the car’s systems and positioned so as to minimise distraction from the view ahead). No typed emails or texts should be permitted, nor online shopping or form filling or other tasks that require concentrated undivided attention. In short most activity that can be stopped almost instantly and which leave the fallback user in the driving seat, correctly positioned and orientated, ready and able to respond to the call to action should be permitted. The urgent and immediate need to reform existing civil liability rules for transitional forms of automation. I refer to my response to Q18 on the urgent and compelling need to reform the civil liability and insurance provision for driver assist and conditional automation at SAE Ls 2 & 3. In my opinion, it might be easier for all concerned if the definition of ‘automated vehicle’ in s1 was amended to include all forms of ADS, including partial automation at SAE L2. In my view, the government appears to have missed a rare opportunity to persuade the motor insurance industry to accept a root and branch reform of the muddled and inconsistent statutory provision in this area (especially Part VI Road Traffic Act 1988) to bring its protection into line with the minimum standard of compensatory guarantee that applies on the continent. The opportunity arose from the high probability that the prospect of highly and fully automated vehicles (with its resulting public and product liability implications) amounted to an existential threat to motor insurers, whose business model is based on the personal fault-based liability of vehicle users. Yet the motor insurance industry has effectively secured a monopoly to underwrite the product liability risk of advanced futuristic vehicle automation. This advanced technology is likely to present a relatively low business risk for motor insurers: due in part to the insurer’s statutory right of recovery and partly to compelling commercial pressures on manufacturers to offer a Volvo style no-fault compensation guarantee in return for low premium rates. The government appears to have allowed the motor insurance industry to deftly evade the real and pressing need to provide mandatory cover for injury or loss caused by vehicle defects of existing and close to market technology that conceivably present an even greater risk to road safety than the more sophisticated levels of automation contemplated by the AEVA 2018. The government risks being accused of mapping out the legislative framework of the relatively safe high ground of highly advanced automation but failing completely in its responsibility to attend to the urgent task of mapping the treacherous path leading there. We seek views on whether the label “user-in-charge” conveys its intended meaning. We seek views on whether it should be a criminal offence for a user-in-charge who is subjectively aware of a risk of serious injury to fail to take reasonable steps to avert that risk. Probably yes for SAE level 4 but not for SAE level 5 once ADS engaged for the reasons given at para 3.47 and para 3.54-56. I do not anticipate that any new criminal liability is called for in fully autonomous vehicles at SAE L5. Definition of risk needs to express an unacceptably high level; not any risk however small. When would a user-in-charge not be necessary? We seek views on how automated driving systems can operate safely and effectively in the absence of a user-in-charge. See the answer to Q1 above. Type approval as fully automated (SAE L 5 automation) should be restricted to vehicles that have the capacity to operate in a completely driverless mode throughout its journey. I believe that this is likely to require its ADS to identify and respond appropriately to every sensory input that a human driver is required to identify and react to and to at least the standard of an experienced and competent driver (if not higher). This would include, distance of vision, hand signals and temporary road signs, weather conditions, unanticipated occurrences (#3.60) and nuanced scenarios where appropriate precautionary response / manoeuvre or to assume a minimal risk condition. Clearly this level of automation has yet to be achieved and I understand that it may not be so for at least ten years. Certain specified SAE L4 vehicles may have the capacity to operate safely without a user-in-charge where the automated DDT is confined to a low risk ODD where they can easily achieve a minimal risk condition without human intervention. Do you agree that powers should be made available to approve automated vehicles as able to operate without a user-in-charge? (ii) the unmanned being fully compliant with the relevant international regulations governing road traffic: e.g. the UNECE Vienna and Geneva Conventions (#2.51; #4.14) and the EU Framework Directive 2007/46/EC (#4.19) in each instance, as amended or replaced.